The Czech export agency SoundCzech in cooperation with Eurosonic Noorderslag and the Slovak partner, Pohoda festival, announces the selection of Czech and Slovak artists who will perform in the Czech-Slovak Focus at Eurosonic Noorderslag 2019. It is one of the biggest events for the Czech and Slovak music scene in history. Eurosonic Noorderslag is the most prestigious European music showcase and conference that, each year, highlights one country to showcase their best selected talent from the local music scene. 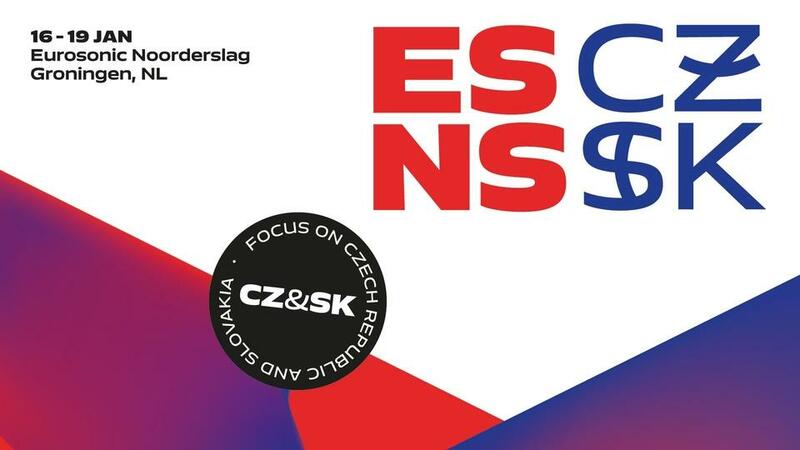 The organizers of ESNS decided this year to organize the first dual focus, choosing the Czech and Slovak Republics. “I believe it’s not a random success but a recognition that the Czech and Slovak Republics have a lot of music talent and artists that have something to offer to the music fans and professionals all over the world. We look at the Czech-Slovak focus also as another important step in the development of these scenes,” says SoundCzech Director, Márton Náray. From the Czech Republic, Eurosonic Noorderslag bookers selected: Bohemian Cristal Instrument, Circus Brothers, Floex & Tom Hodge, Lazer Viking, Lenny, Manon Meurt, Mydy Rabycad, Pipes And Pints, Thom Artway and Zabelov Group. Also Hellwana will be presented by the export project of Radio Wave, Czeching. Slovakia will be represented by Autumnist, B-complex, Katarína Máliková & Ensemble, Isama Zing, Möbius, Nvmeri, Our Stories, The Ills, Thisnis and Tittingur. The twenty-one music projects went through careful selection out of hundreds of applicants and will have a chance to present themselves to four thousand international music professional and 50 000 music fans from January 16 to January 19, 2019 in Groningen, Netherlands.